The following article by Julie Labrie, president of BlueSky Personnel Solutions, was originally posted on Workopolis. Julie Labrie is President of BlueSky Personnel Solutions. After 14 years of recruiting top talent, she is a veteran in her field. 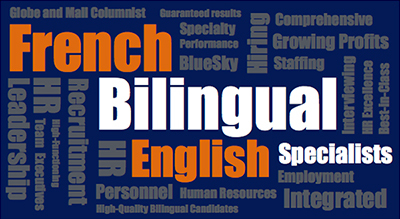 Fluent in both English and French, Julie also provides bilingual placement and expertise. She works closely with both business/HR executives and job candidates, and can offer insights into the strategies, nuances and psychology of the hiring process.